Oct 01 Comments Off on How do you stop keloid scars from growing? How do you stop keloid scars from growing? Wondering how to stop keloid scars from growing? 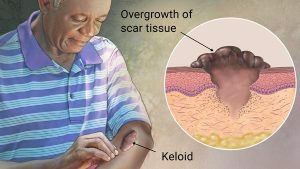 Keloid Scars are believed to be caused by a hereditary/genetic predisposition and it may be hard to stop keloid scars from continuing to get bigger. This condition causes scar tissue to overgrow after any trauma to the skin. Keloids are made of collagen. Keloids may be painful and itchy but other than that they rarely cause any other symptoms. 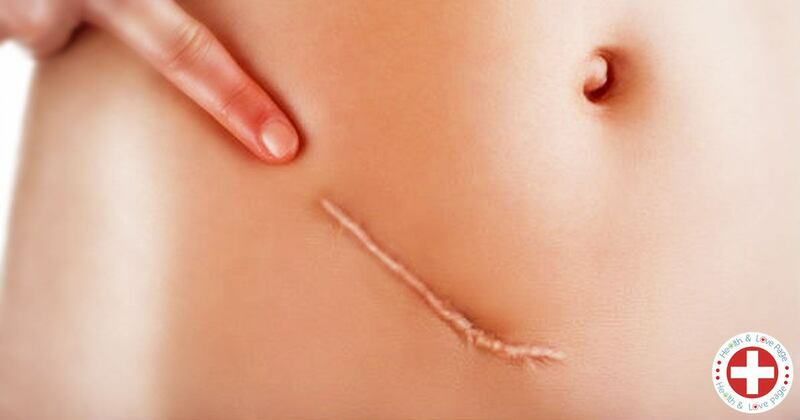 If you notice that your scar start to grow, don’t wait long, and start prevention treatment as soon as possible. You can apply topical agents such as creams or strips that contain silicone. Silicone treatments are effective in reducing the size of keloid in about 34% cases when used continuously for six months. Get an steroid injection in the scar, a common treatment for reducing keloid size, if creams or silicone strips are not effective. The steroids injections may take more than one treatment with two to three weeks intervals between them. Intralesional injections come in various concentrations. In Florida Keloid Center we use the highest concentration available. Apply tretinoin if recommended by your dermatologist. This is a prescription acne medication that has been known to reduce itching and pain caused by a keloid scar. Applying this medication twice daily in combination with steroids has been known to produce better and faster results. Applying prescription medications such as tretinoin or steroid creams. This has been known to reduce itching and pain caused by a keloid scar. Applying these medications twice daily has been known to produce better and faster results. If you are considering to pierce your ears and you are prone to develop keloids scars consider wearing compression earrings for a few months. In cases where injections, creams, silicone pads and other therapies yield no results you may seek other treatments. Keloids on the ears can be treated with Cryodestruction. This is a unique technique which allows to freeze keloids from inside out. Not all keloids are suitable for Cryodestruction. Most other keloids can be treated with surgery followed by radiation. Radiation helps prevent regrowth of the scars. Both options give permanent results with over 94% success rate. Always seek qualified health care professional with extensive knowledge, training and experience who is specializing in keloids. Aug 28 Comments Off on How to get rid of a keloid scar on the ear. How to get rid of a keloid scar on the ear. What causes a keloid scar on the ear? Keloids are overgrowths of scar tissue that can be caused by any minor trauma or injury to your skin. They often appear after ear piercings. As wounds heal after piercing, fibrous tissue starts to develop and overgrow instead of normal scar tissue. In some individuals body makes excessive scar tissue which leads to formation of keloids on the ear. This scar tissue starts to spread out from the original wound, causing a keloid to become larger than the original piercing. Keloid scars on the ear typically begin as small round bumps around the piercing site. Sometimes they develop quickly within few weeks, but usually they appear several months after piercing and may continue growing slowly for the next few months. 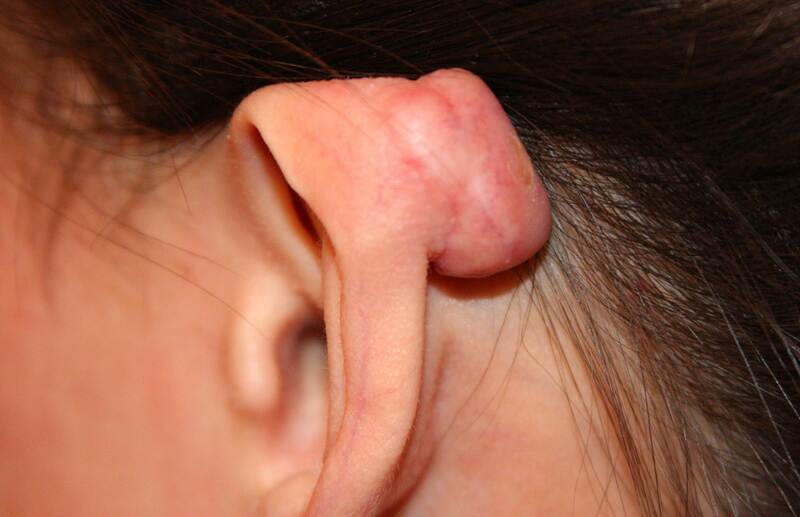 While anyone can develop a keloid scar on the ear, some people are more predisposed to develop them. Ethnicity – people with darker skin tones are more likely to have keloids. Genetics – Individuals with family history of keloids. Age – keloid scars on the ear are more common in young adults. What are the best treatments to remove keloids? The most successful ways to remove keloid scars on the ear are Cryodestruction (deep internal freezing) and Surgery followed by Superficial Radiation Therapy (SRT). Cryodestruction is an innovative unique technique that enables to freeze keloids from the inside out with liquid nitrogen without creating additional scar tissue. The freezing of liquid nitrogen causes a thermal effect that destroys keloid cells. With no risk of worsening the scar, and a 97% success rate. Cryodestruction effectively treats most scars on the ear in one or two treatments usually spaced 6 weeks apart. You will see at least 50 to 80% improvement after one treatment. Pain, itching and discomfort associated with keloid markedly improved after the first treatment. The procedure is done under the local numbing with minimal discomfort. Skin discoloration may occur in the site of the treated area. Unfortunately, not all keloids are suitable for Cryodestruction. Keloid’s size, texture, and shape need to be evaluated to determine if it is a suitable option. Surgery combined with Superficial Radiation Therapy (SRT) can successfully remove a keloid scar on the ear and prevent it from creating a new scar. Surgical removal alone can create a new scar, that will l develop into a keloid in about 70% of the cases. Often bigger than the original keloid. Therefore, typically keloids need to be treated with radiation therapy within 24 to 48 hours post surgery to prevent regrowth. SRT is a highly effective keloid removal treatment with a cure rate of 94%. Additional treatments such as corticosteroid injections may slightly decrease the size of the keloid, however there are higher chances of regrowth. It typically requires several treatments spaced three to four weeks apart. There are no current remedies to completely prevent keloid on the ear however these tips help to reduce the risk. If the skin around a piercing start to thicken or itch, this might indicate keloid is forming. Seek treatment early. If you’ve ever had an ear keloid, don’t pierce your ears again. If you know that you get keloids and you need surgery, be sure to inform your surgeon. They may be able to use special techniques to reduce your risk.Take good care of any new piercings or wounds. Keeping the wound clean can reduce your risk of scarring. Use a silicone patch or gel after getting any new piercings, or wounds. With new advances in technology, today we have highly effective treatment options with excellent success rate so you don’t have to go through life with this difficult condition. See a keloid specialist to discuss what treatment options are best for you. Keloid not suitable for Cryodestruction? Use SRT. To cure the keloids that are not suitable for Cryodestruction, we offer surgical excision (removal) followed by Superficial Radiation Therapy (SRT). This is a highly effective keloid removal treatment with a cure rate of up to 95%. Unfortunately in 50-70% of the time keloids grow back within a year after being surgically removed. However, when surgical removal of keloids is followed up by SRT, recurrence rate drops to 5-10 percent. The SRT-100 machine delivers a precise, calibrated dose of radiation therapy that only goes skin deep. This low dose of superficial radiation therapy safely destroys the cells that form keloids. The treatment is performed in the office. The treatment is non invasive and painless. Usually 2 or 3 treatments are required, performed in 2 or 3 consecutive days. The procedure has been approved by the FDA, and is very well established for many years. Low downtime and minimal lifestyle restrictions. No need for post-procedure aftercare. Who is a typical keloid removal patient? 24 year old African American female came to The Keloid Center from Miami Florida to treat keloids on her ears. She was very disturbed by her keloids, stating that they were painful and ugly. She was depressed and self conscious because of her keloids, and was embarrassed by her appearance. She stated that it affected her personal and professional life. She needed keloid removal treatment. She had them previously removed surgically but they grew back and unfortunately grew even bigger than the original size. The keloids usually grow back in 50 to 70 percent of the cases if not treated with radiation therapy within 24 hours after the surgery. She was extremely unsatisfied with the surgical outcome and wanted to try other options beside surgery. We examined the keloids carefully and determined that she was a great candidate for the CryoDestruction. The preparation for the procedure was very easy. The area was cleaned with alcohol and local anesthetic was applied. The patient was very comfortable during the procedure with no pain at all. Liquid nitrogen was applied through a special probe. Liquid nitrogen is nitrogen in a liquid state at an extremely low temperature. Liquid nitrogen is a cryogenic fluid that causes rapid freezing on contact with living tissue. The procedure lasted about fifteen minutes. The keloid gets completely frozen inside and outside. After the procedure the keloids were bandaged and the patient was able to drive home. The first day patient experienced a mild pain described as three out of ten, but the second day the pain considerably subsided. The patient was able to return to work and do her daily activities. After a few days keloids scabbed and shrunk, and the scabs stayed on for approximately six weeks. The scabs typically stay on for about four to eight weeks it depends on the size of the keloids. After the scabs fell off keloids completely resolved. The patient required only 1 treatment. Our patient was extremely happy with the outcome. She thought her keloids would never go away. It has been 2 years after the procedure. Her keloids did not grow back. The skin where the keloids were are slightly discolored compared to surrounding skin but the treated area is completely flat. Interested in the quick and easy procedure to remove your keloids? Feb 07 Comments Off on Do home remedies for keloid scars work? Do home remedies for keloid scars work? Home Remedies for Keloids, Fact or Fiction? Keloids are scars that become enlarged due to an abnormal growth of scar tissue. The scar develops beyond the border of an injury and many patients try home remedies first before coming to see a dermatologist. Most keloid scars continue to grow for weeks to months or even years. Usually they do not resolve spontaneously, and tend to recur after surgical excision if serious precaution measures are not observed. The scars have an irregular shape, can be pink, or brown in color, with smooth, hard appearance. Any injury such as bites, cuts, acne, surgeries, burns and piercings can create keloids. Some ethnic groups are genetically more predisposed to have excessive scar tissue. Keloids are more common in Asians, and African American individuals. The most common age group to develop keloids is 10-30 years old. Sometimes keloids can become painful and itchy and sensitive to the touch. Many people suffer emotionally from having those unsightly scars. Keloid scars can lower confidence, and can cause social isolation. There are a few treatments available to treat or minimize the appearance of the scars. Those might work on minor injuries but those treatments unfortunately don’t work well for large keloids, or mature keloid scars. Home remedies might slightly reduce the size and pigmentation of the scars if they are applied right after getting a wound, burn, or piercing. If keloids don’t improve with home remedies and continue to grow or itch talk to your doctor about other medical options. Large keloid scars most likely would require more aggressive treatment. 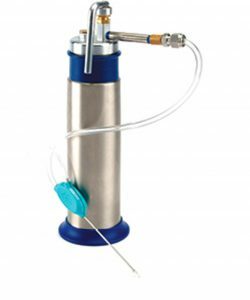 The newest revolutionary cryodestruction technology offers a successful way of treating scars, with 97% success rate. With other keloid removal procedure unfortunately there is a high chance of keloid regrowth. With cryodestruction the chance of regrowth is less than 3%. The procedure is done under local numbing and is pain free. The keloid is frozen from the inside out with liquid nitrogen. This technique allows very minimal regrowth compared to other treatment options. Bothered by noticeable keloid scars? Many patients are bothered by their keloid scars and constantly look for the optimal, best treatment. Intralesional cryotherapy has been successfully implemented on many patients, with outstanding results. Only minimal discoloration has been noted, and it usually resolved after a period of time. 100% of patients respond positively to treatment and see dramatic improvement. Most of the patients require 1-2 treatments. Results can be seen in just few weeks. Results seen in weeks, not months. Jan 04 Comments Off on Why can’t I have my keloid simply being removed surgically? Cut-off? Why can’t I have my keloid simply being removed surgically? Cut-off? Keloids usually grow back after surgical removal. Often times larger than they were. Jan 04 Comments Off on What is CryoDestruction™? Cryodestruction™ is an innovative, highly effective technique for keloids removal. During the procedure, the keloid is frozen from inside out using liquid nitrogen. Jan 04 Comments Off on Do removal procedures hurt? The CryoDestruction procedure uses local anesthetics and does not hurt.